On Sept 10, Lim Thong woke up early to attend another day of demonstrations in the two-week-old anti-government protests. The 31-year-old unemployed hotel worker left the family’s apartment in Prampi Makara district about 7 am and returned at noon for lunch. He asked his four-year-old niece for the 5,000 riel it costs to take the bus. “But she said she didn’t have any money, so I gave it to him,” said his older sister, Lim Hong, on Monday. He left again before 2 pm, planning to return home at dusk, as usual. No one in his family has seen him since, Lim Hong said. “I don’t think he’s alive,” she said in an interview in the family’s second-floor apartment. Lim Thong is one of 53 people who disappeared after taking part in the street demonstrations, ac­cording to rights workers. Two months later, the UN is still trying to locate them. 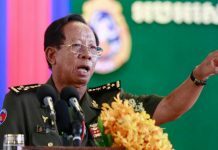 In the wake of the protests, 24 bodies turned up suspiciously in and around Phnom Penh and along the Mekong River, al­though none could be connected to the anti-government protests, according to the UN. Only one has been identified. An official from a team comprised of three Cambodian hu­man rights organizations said they are looking for 40 of those reported missing without success. Four have returned of their own volition, he said. 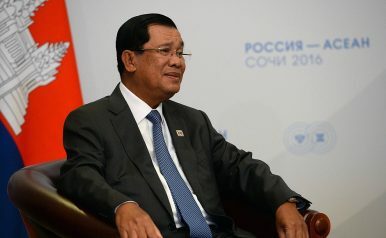 The Cambodia Office for the UN High Commissioner of Human Rights here will soon approach authorities for help in finding the missing, a rights worker said. The UN also believes five other people arrested in connection with demonstrations are still being detained. 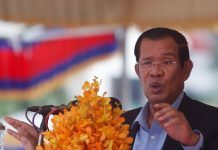 But Mao Chandara and Om Yentieng, a senior adviser to Second Prime Minister Hun Sen, said Sunday that no one arrested in connection with the demonstrations is still being detained. Authorities have stated that they arrested more than 20 demonstrators before releasing them while the UN believes that more than 50 were arrested or detained. Om Yentieng declined to discuss discrepancies between the UN and government figures, saying that he is now working in conjunction with Thomas Ham­marberg, the UN’s top human rights envoy to Cambodia. 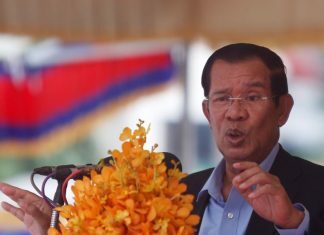 A Cambodian legal aid official said Tuesday that five people are still being held, “mostly in T3” prison in Phnom Penh. The official, requesting anonymity, said the Phnom Penh Municipal Court is investigating charges of illegally donning a monk’s uniform, use of a weapon and libel and defamation. Two people were killed and scores injured when rock-throwing protesters clashed with armed riot police during more than a week of violence-marred street protests against the July 26 election result. Seventy-seven demonstrators and up to 60 police officers sought medical attention for injuries incurred during the clashes, according to the UN and police. Police began sweeping out the sit-ins and street marches on Sept 7 after two grenades exploded inside the second prime minister’s little-used city residence. Three days later, when Lim Thong was last seen by his family, up to 10,000 people gathered in front of the Royal Palace. They fled when 10 trucks of police and two firetrucks charged in from the south. Scattered melees between demonstrators and police followed until well past dark, most notably in front of the railway station and the Faculty of Med­icine. 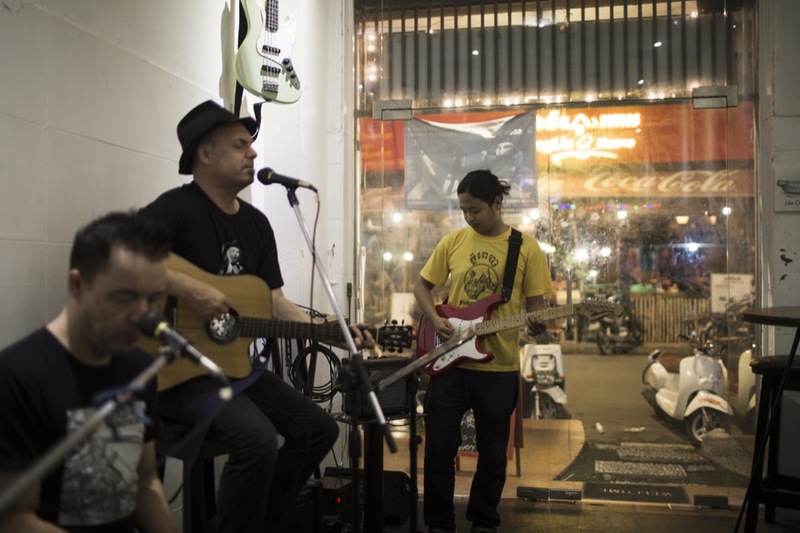 A Cambodian human rights worker said Tuesday that he interviewed people who said they witnessed police beat Lim Thong and put him into a vehicle on Sept 10. Information beyond that is sketchy, he said. The rights worker said Tues­day that most families with relatives missing do not tell police because they fear revealing their family’s pro-opposition sentiments to CPP-dominated security forces. They fear threats against the family would follow, the rights worker said. Lim Hong, Lim Thong’s older sister, said her brother does not have any family outside of the capital and is unfamiliar with the border camps, having spent the last 20 years in Phnom Penh. She said her brother joined the demonstration because he said “he loved democracy,” and told his family he gave money to those taking part in the sit-in across from the National As­sembly. He never expressed fears about his safety, she said. The day after he failed to return home, Lim Hong circulated a photograph of her brother among demonstrators and residents who live near demonstration sites, but turned up no information on his whereabouts. Lim Hong then visited three fortune tellers, who said her brother would be released on Sept 20 and return.